First – the damage that the air raids by the Western anti-Gaddafi alliance caused to Libya is estimated to be 7 times bigger than the damage which bombing by the Nazis caused in Europe during WWII. Second – Muammar Gaddafi and his associates had, in total, $ 150 bln on bank accounts in various parts of the world. After the beginning of the Libyan revolution, the West froze these accounts. Now, this money has disappeared somewhere. Speaking about the damage which Western bombing attacks caused to Libya, one may probably say that every war causes damage. This is true, but the amount of damage can be greater or smaller. It may be doubted that the ousting of Gaddafi, however tyrannical he might have been, was really worth the damage which NATO bombs caused to Libya – to say nothing of the fact that introducing a no-fly zone over a country and then bombing it is, to put it mildly, not very consistent. 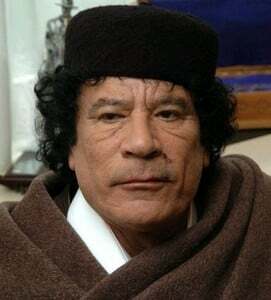 True, it looks like now that Gaddafi has been ousted, the West doesn’t care anymore about what is happening in Libya. It also looks like the current Libyan leaders care more about staying in their posts – or occupying higher posts if possible – than about trying to return the $ 150 bln which mysteriously disappeared back into their country, which now badly needs restoration after the war.